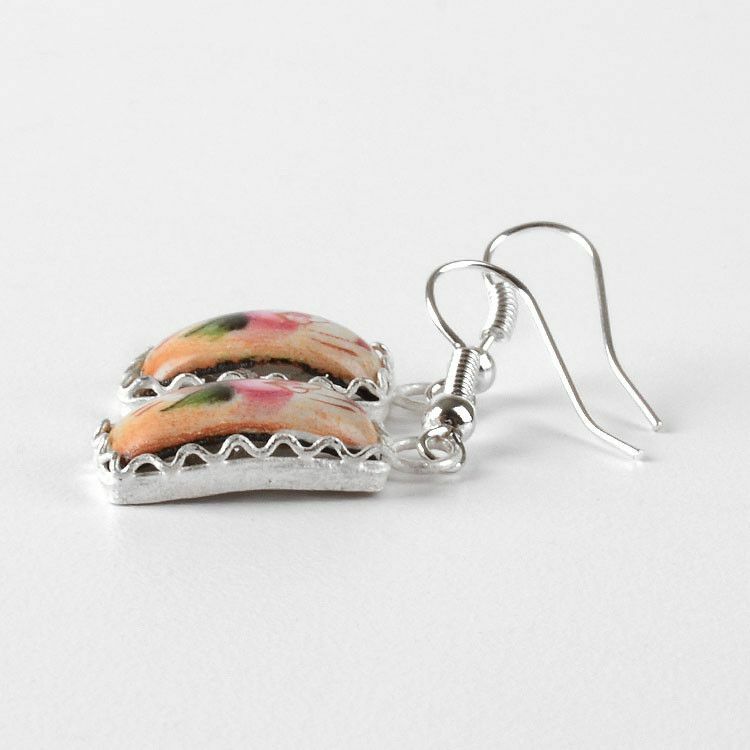 These beautiful, orange colored finift earrings are displayed in wonderful German silver cases, and hang from simple hooks. 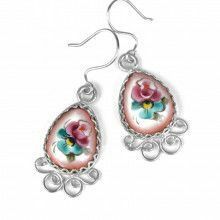 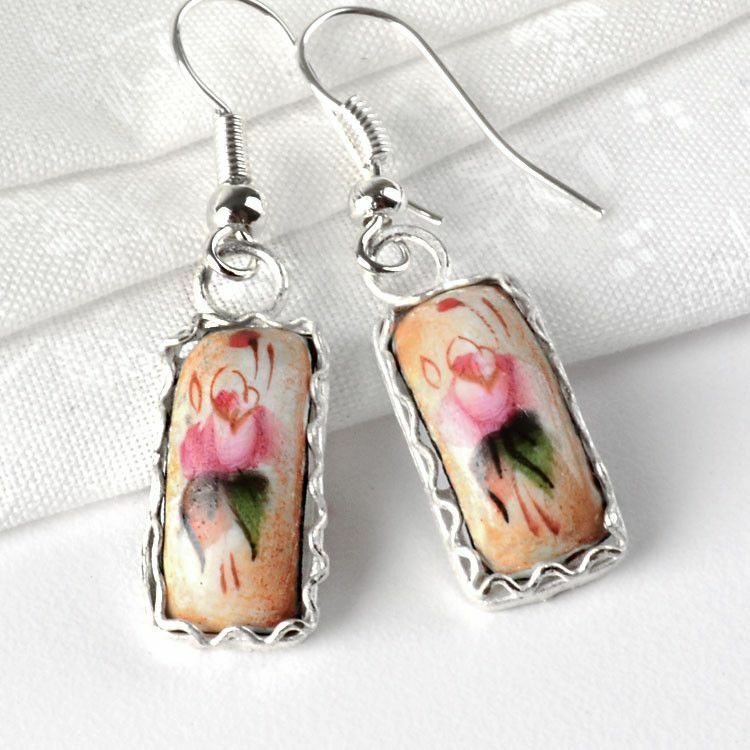 The mini floral painting and intricate silver details are sure to make these unique earrings a favorite in your jewelry box. 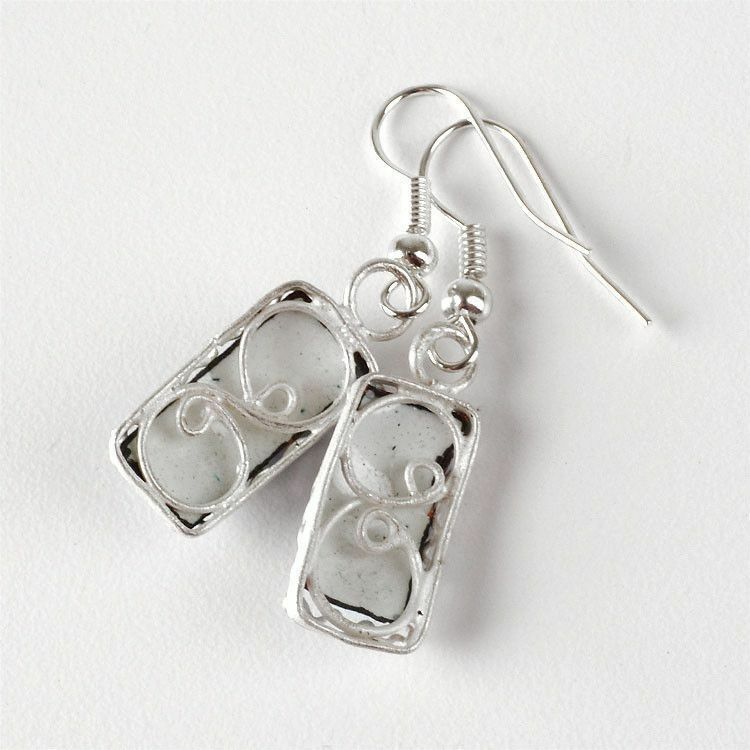 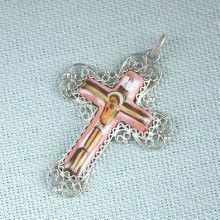 Stone is about 1/2" x 1/4"